Having a stroke significantly increases the risk of dementia, according to the largest study covering 3.2 million people across the world published in the Alzheimer’s & Dementia: The Journal of the Alzheimer’s Association. People who have had a stroke are around twice as likely to develop dementia. The link between the two persisted even after taking into account other dementia risk factors such as blood pressure, diabetes and cardiovascular disease. The researchers conducted a meta-analysis and analyzed 36 studies in which participants had a history of stroke, totalling data from 1.9 million people. In addition, they analyzed a further 12 studies that looked at whether participants had a recent stroke over the study period, adding a further 1.3 million people. Stroke characteristics such as the location and extent of brain damage may help to explain variation in dementia risk observed between studies, and there was some suggestion that dementia risk may be higher for men following the episode. Further research is required to clarify whether factors such as ethnicity and education modify dementia risk following a stroke. Most people who have a stroke do not go on to develop dementia, so further research is also needed to establish whether differences in care and lifestyle can reduce the risk of dementia further. 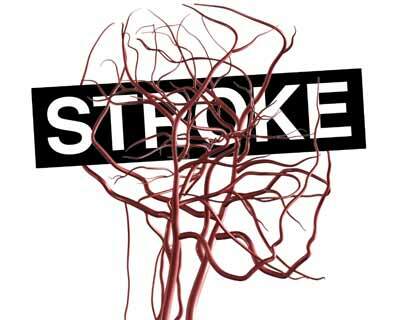 According to the World Health Organisation,15 million people have a stroke each year. Meanwhile, around 50 million people globally have dementia – a number expected to almost double ever 20 years, reaching 131 million by 2050.